The 2019 TLA Annual Conference app is available for download in Google Play or the Apple App Store. 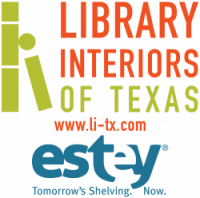 Search for Texas Library Association. The app, which is updated constantly, includes the latest information on speakers, exhibitors, programs and more. It is the best source for the most current information on TLA 2019. To login, use the email and password credentials you use to login to the TLA members only website. If you aren’t a TLA member, use the email and password you created when you registered for the conference. Be sure to enable push notifications so you receive special messages during conference. Complimentary wi-fi will be available in the Austin Convention Center meeting rooms, lobbies, registration area and meeting areas in the Exhibit Hall. 400+ exhibitors showcasing the latest products and services, and of course books! Hundreds of authors signing your favorite books in the Exhibit Hall.